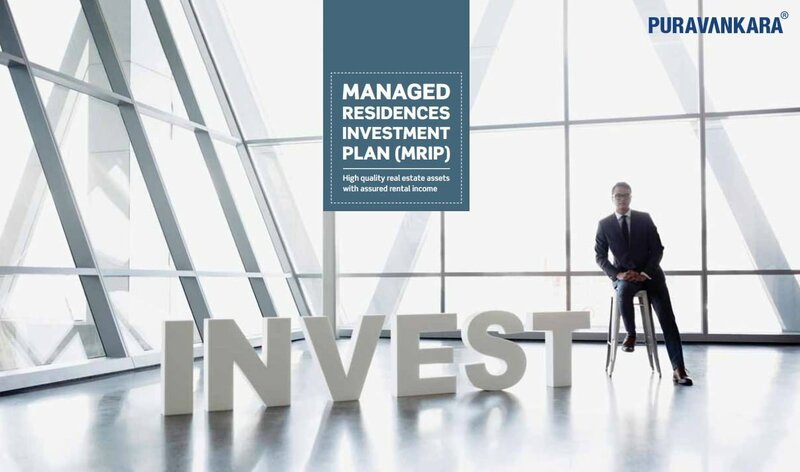 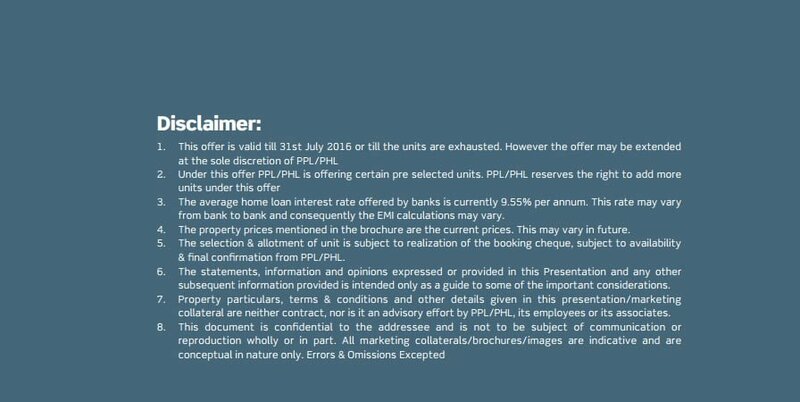 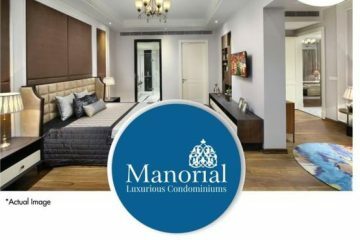 MRIP Managed Residences Investment Plan Limited Period Offer- We are happy to announce the once in a lifetime opportunity to invest in our MRIP(Managed Residences Investment Plan- Limited Period Offer). 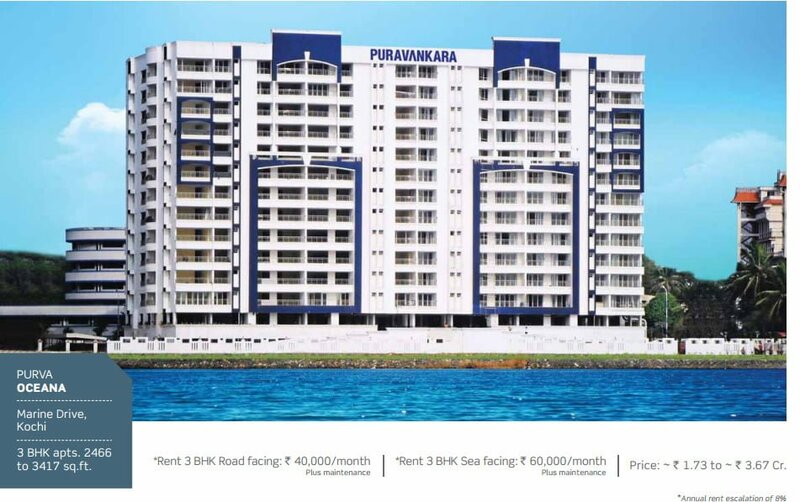 Invest now in Puravankara and Provident projects Ready To Move in apartments in cities like Bangalore, Chennai, Kochi and Coimbatore and get an assured rentals for 7 years plus monthly maintenance. 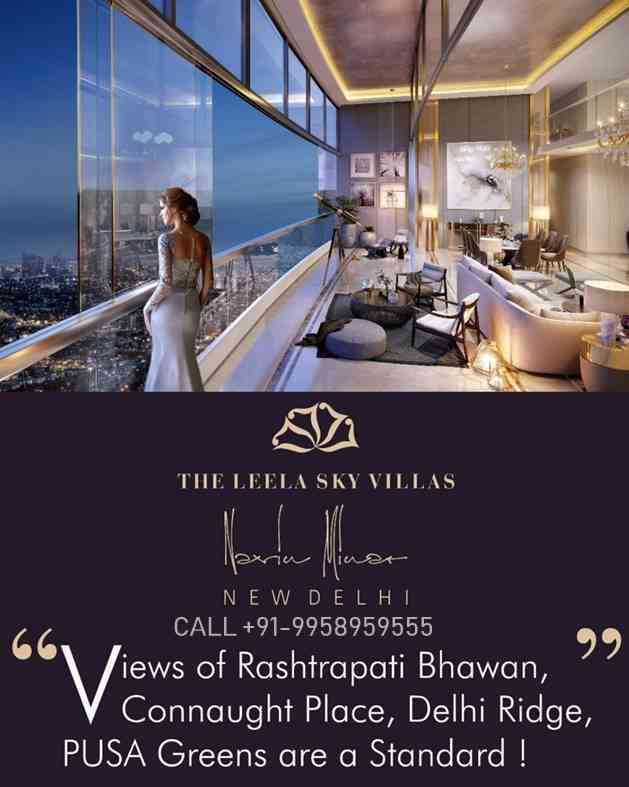 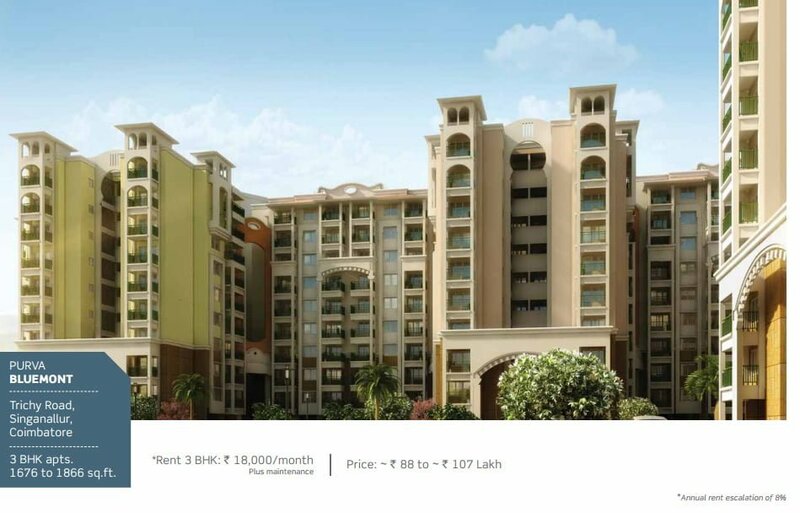 For more details please feel free to reach out on +919958959555 – MRIP. 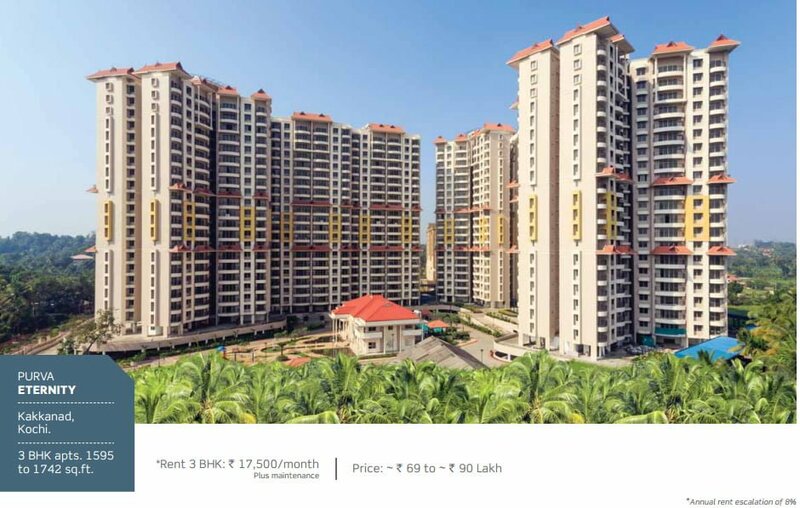 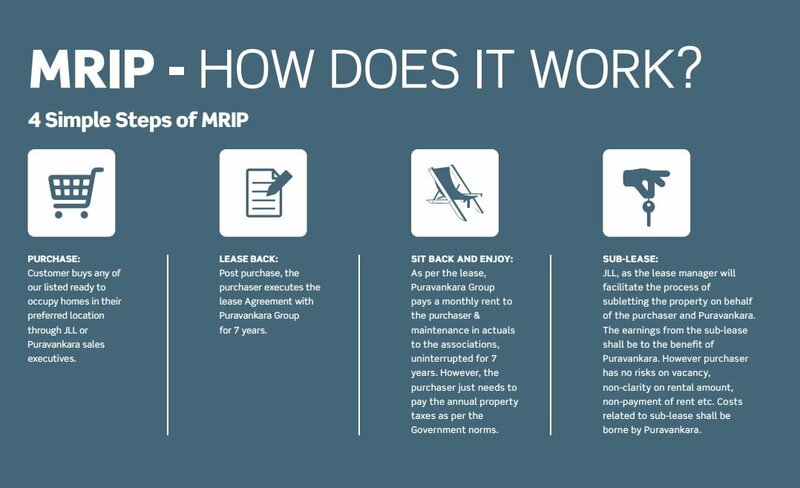 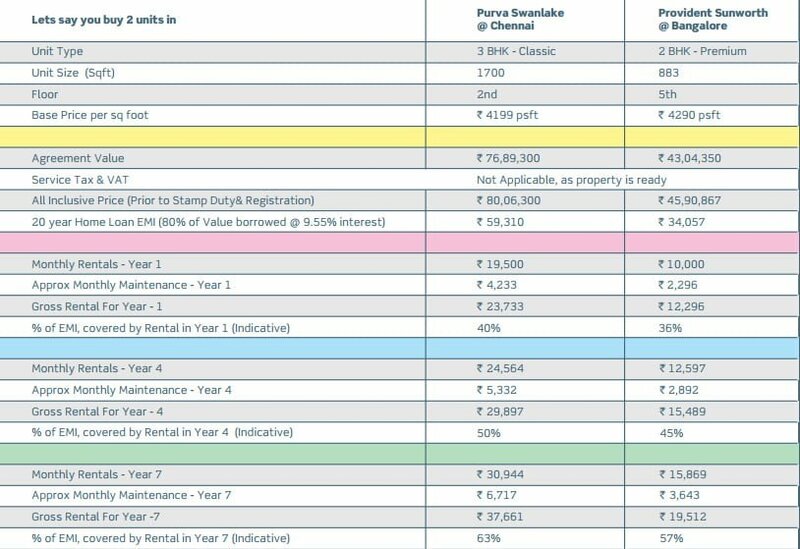 PURAVANKARA|PURAVANKARA MRIP OFFER | PROVIDENT HOUSING | OFFERS ASSURED RENTAL FOR 7 YEARS | Invest in our MRIP(Managed Residences Investment Plan- Limited Period Offer). 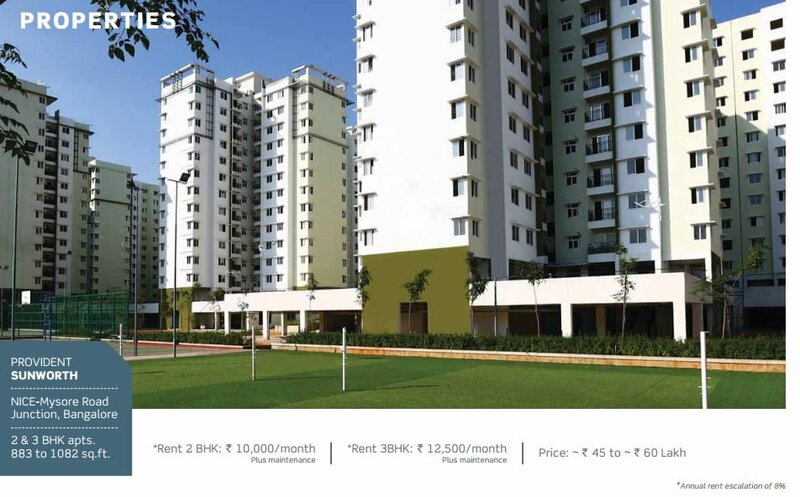 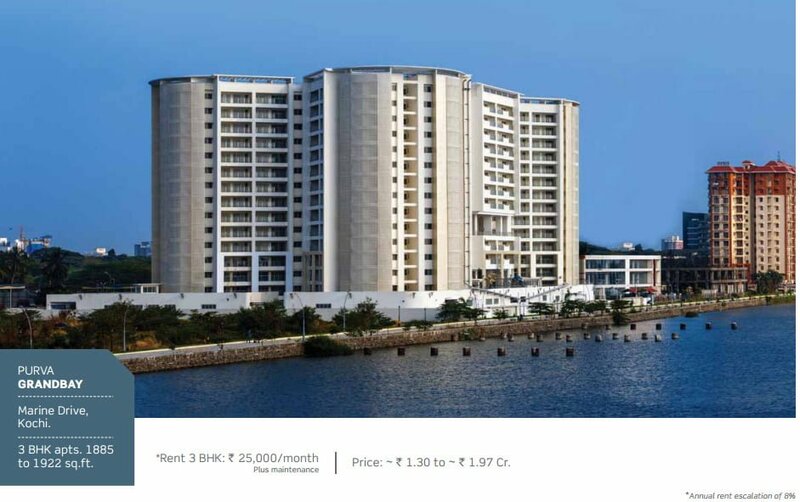 Multi-city residential assets across Bangalore, Chennai, Coimbatore & Kochi. 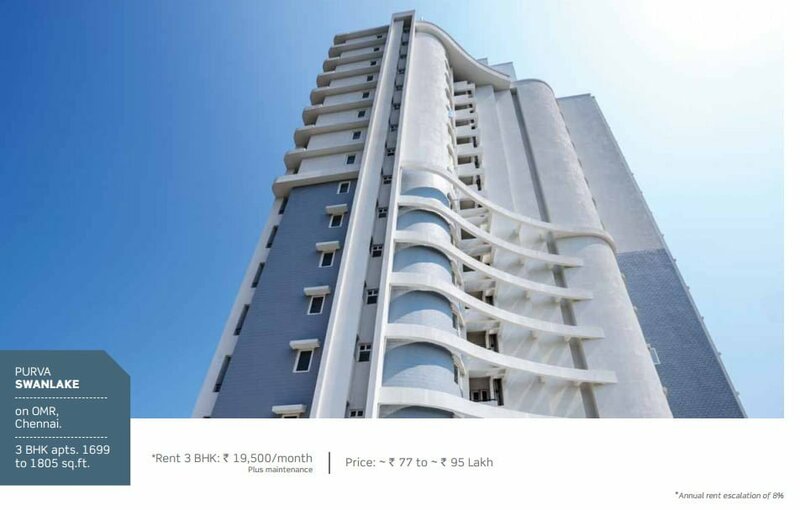 An innovative, low risk real estate investment to help you build a long term rental income. 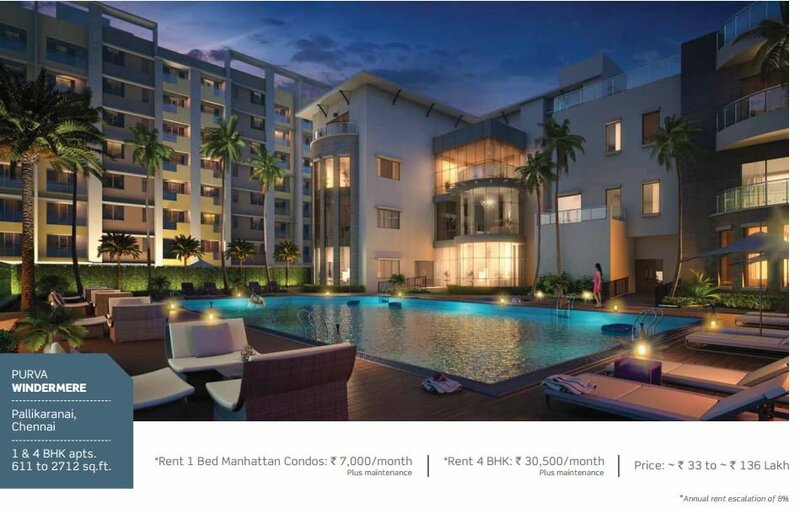 Investments across 3 Price buckets: ~ ` 35 to ~ 55 lakhs; ~ ` 75 to ~ 125 lakhs & ~ ` 2.5 to ~ 4 cr. 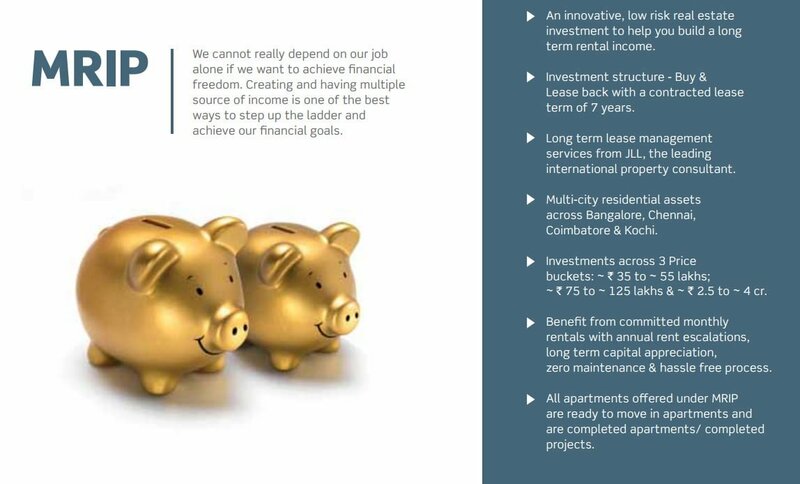 Investment structure – Buy & Lease back with a contracted lease term of 7 years. 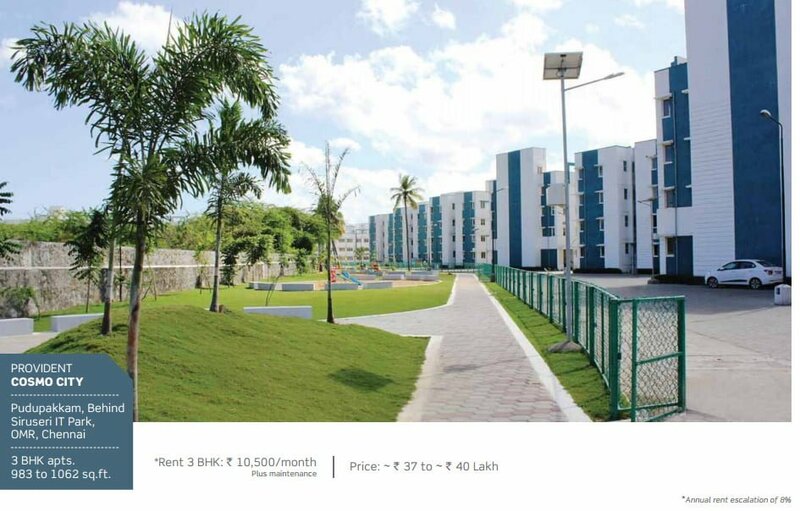 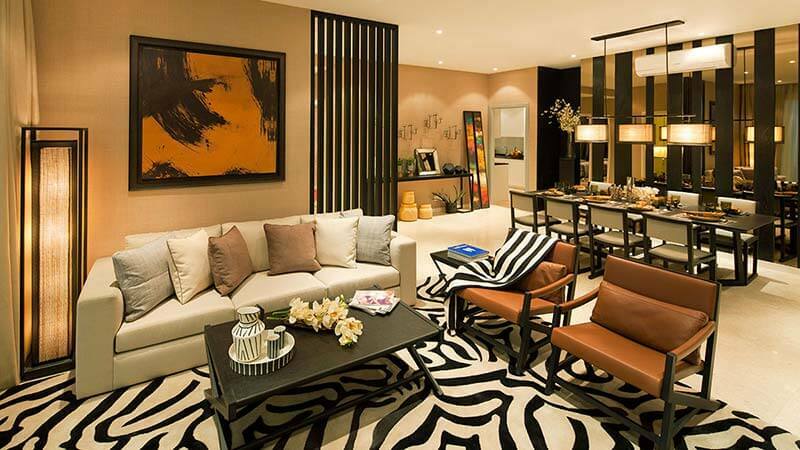 All apartments offered under MRIP are ready to move in apartments and are completed apartments/ completed projects. 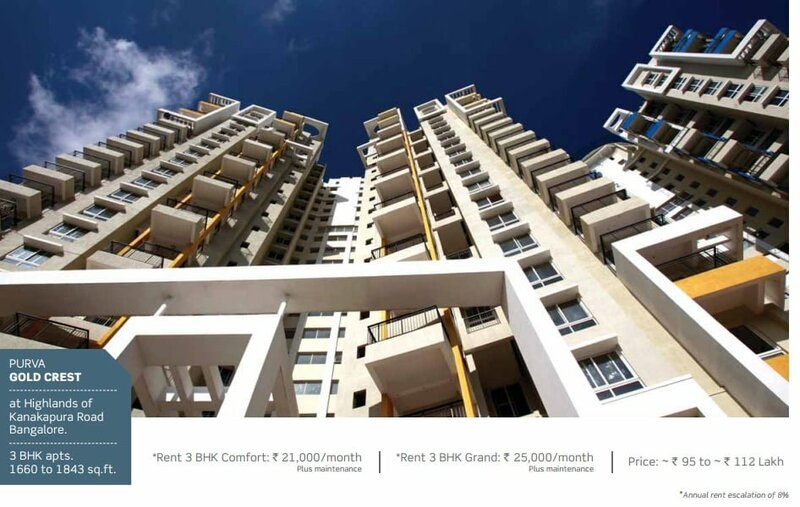 Long term lease management services from JLL, the leading international property consultant. 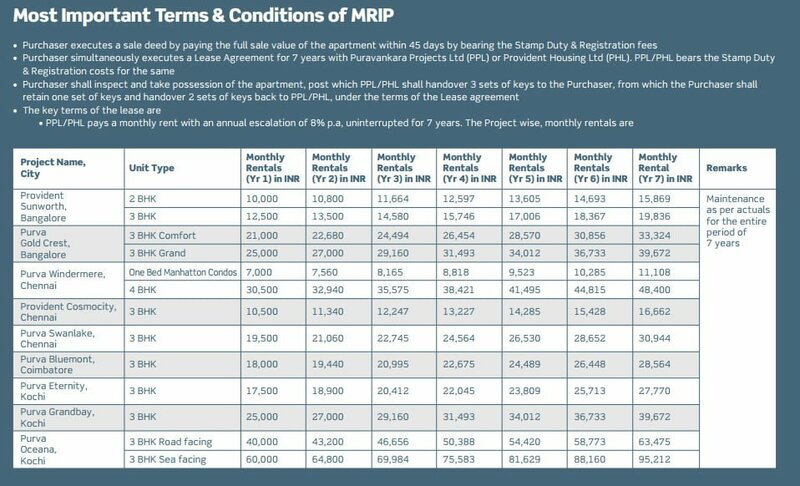 Benefit from committed monthly rentals with annual rent escalations, long term capital appreciation, zero maintenance & hassle free process.